I want to tell you about the baby you are going to have. She is an extraordinary being! So sensitive, so intelligent, so finely tuned to the spoken and unspoken messages that surround her. She, like you, is a person. Join us, as we talk about this incredible person you are about to meet, and the first 5 months of her life. We sit around a kitchen table and make some wonderful Montessori toys for baby that you simply can’t buy anywhere in this country. And while we’re doing that, we talk about some key aspects of child development relevant to the first 5 months of life. And we’ll end with a beautiful meditation and relaxation. Symbiotic Period: The first 6-8 weeks are a time for mum to recover physically. It is also an incredibly important period of psychological development, when the baby ‘decides’ that life is good after all, and that human relationship is beautiful. What Your Baby Can Do: Human beings have amazing bodies with which they can do so much. We start as babies, pure potential. As babies grow, week by week, they are able to do more and more. And at each step there is something we can do to help their efforts. The Movement Area: Babies need time on the floor, free to move. It is through this free movement that they ‘learn how to learn’. There are some simple principles to keep in mind as you create a movement area for your baby. Maternal Care: Every aspect of development has a physical and a psychological part. There are many moments in each day when we take physical care of our baby – feed, change and bathe them. But each of these has a psychological part too. What are they? The Floor Bed: A floor bed is just that, a bed on the floor. Surprisingly uncommon in the West, it is perfectly natural elsewhere. Inexpensive and perfectly safe, it offers many gifts to your baby’s emerging self-confidence. The 3 Personality Types: Each of us is a combination of 3 basic personality types. Knowing our personality type helps us identify how our baby’s personality may be different from ours and how this difference can be respected. Preparation for Weaning: There are 3 stages of major psychological development in the first three years of life. One of those stages is weaning, a beautiful expression of Life’s drive for independence, helping your baby start to eat the food of your culture. Being Human: The first years of life are when your baby learns what it is to be human. They learn this from the people that they are in contact with. But what does it really mean, to be a human being? What is it we are offering as a model for our baby? 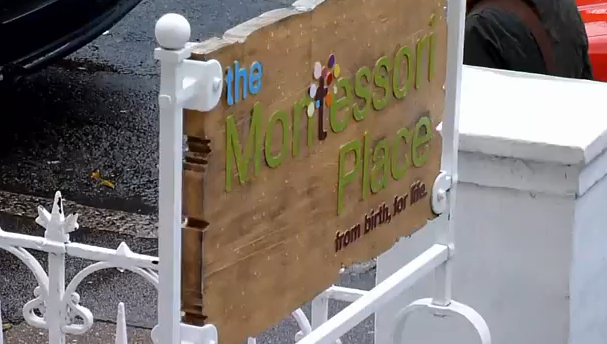 Email us at info@themontessoriplace.org.uk to find out more.